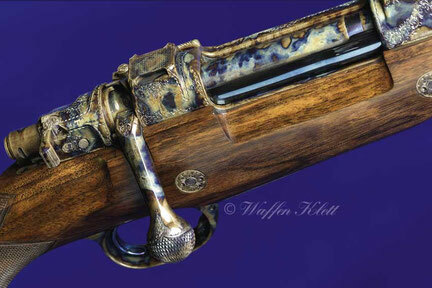 From the 16th Century the Klett Family were related in the gunsmith business. Until today we are building custom made rifles and brakedown guns in different finishes in best handwork carry out by perfect traineed and highly motivated gunsmiths. So we claim until today, that we contiued the high quality demanding from our ancestors. In the history a good gun maker has to ensure that their customers not only have the best guns and rifles but also equipment and accessories for their hunts. We take this role seriously, that we can offer our customers a large selection of equipment and clothings in our shop. For the hole Klett Team is no efford to great, to make their clients adventure in the nature a memorable one. 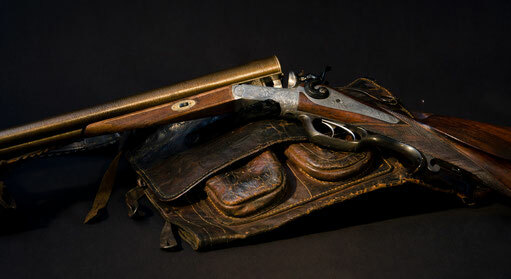 For us the gun ist only the start of a long journey with our customers - a journey of many years with many hunting success.